Handmade napkins featuring embroidered woolly sheep. Lovely large napkins, each embroidered with a woolly sheep and an appliquéd vintage spotty cotton face. Each napkin is handmade in our Cotswolds studio and makes a wonderful addition to all mealtimes. All our products are designed and handmade in the UK using natural materials. Fabrics and colours may vary slightly from item to item but this will not affect the overall look of the design. All our products are gift-wrapped in white tissue paper, ready to wrap with paper of your choice. 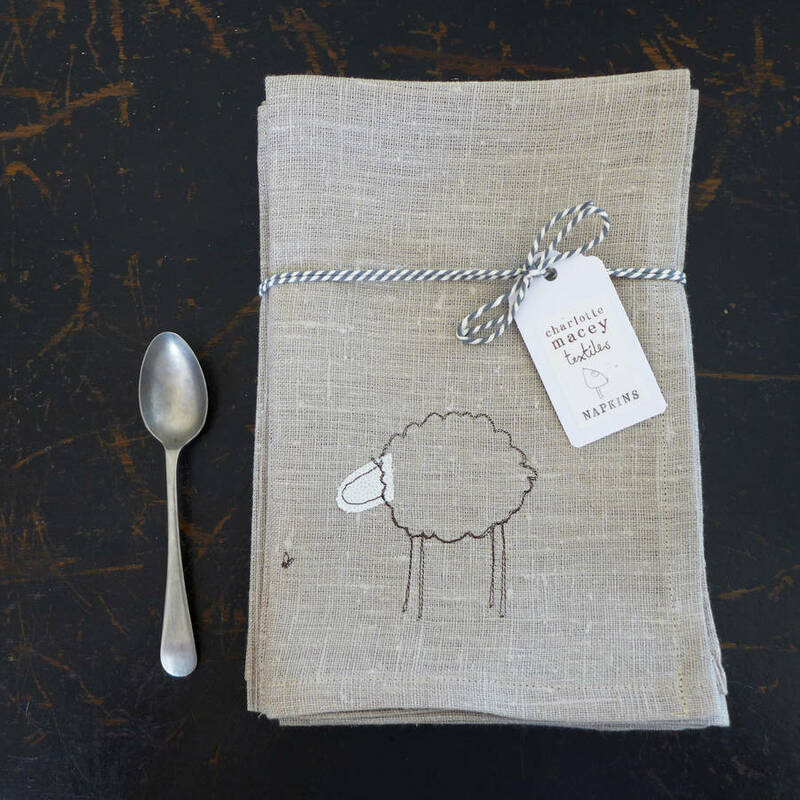 Sheep napkins are available in lovely rustic natural linen or fresh off-white cotton. Choose a set of 4 or 6. 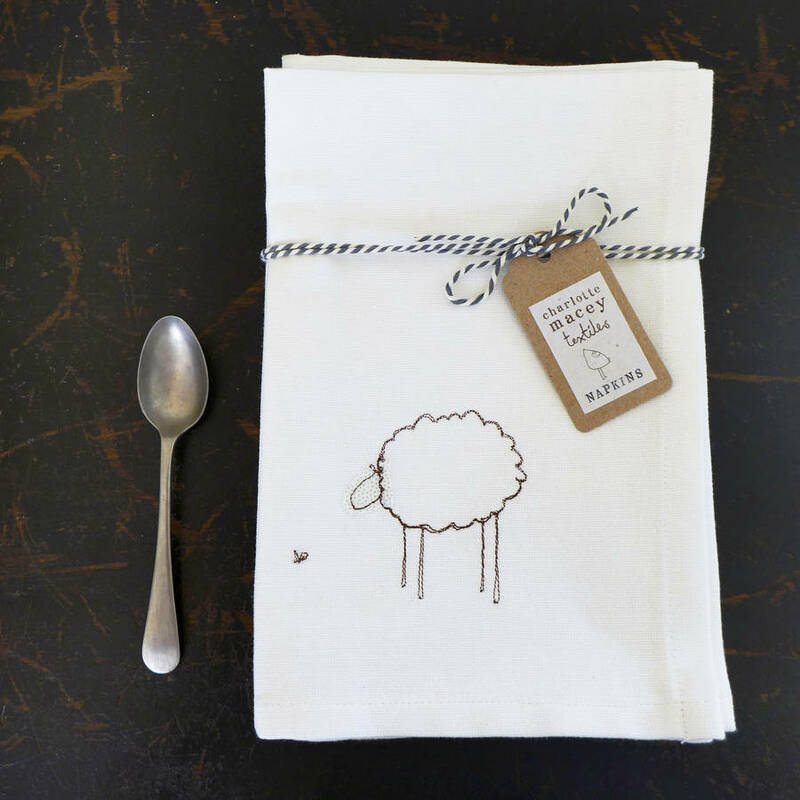 Choose: sheep embroidery only - OR - sheep embroidery and a personalised name per napkin (name will be positioned underneath the sheep).